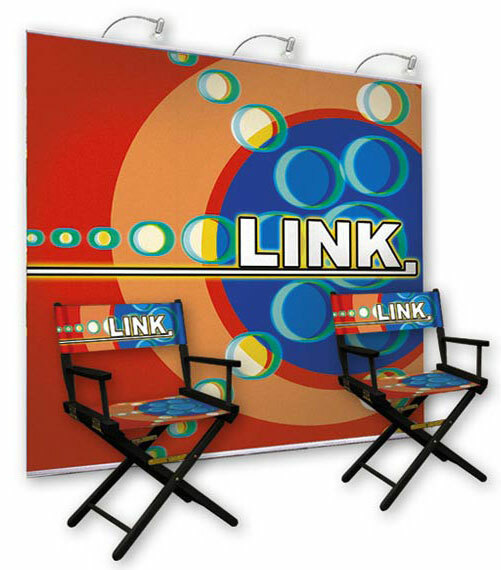 Integrate Director Chairs to match your exhibit booth design. 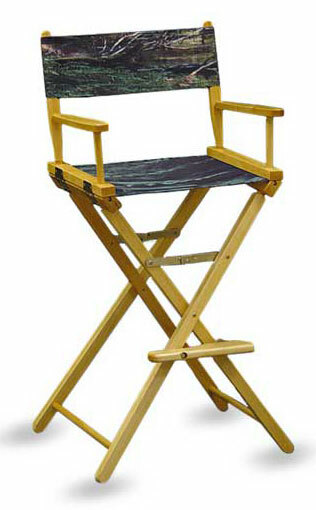 Personalize a Director Chair with a company name, logo, or sales message. 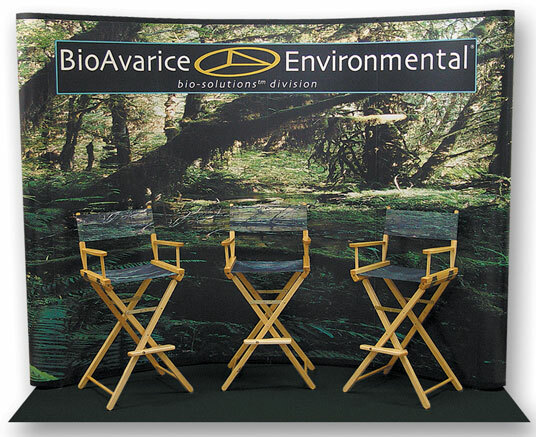 Two heights available: Standard 18" and Counter 30"
Dye Sublimation - a brilliant dye sublimation image transferred to white canvas fabric. 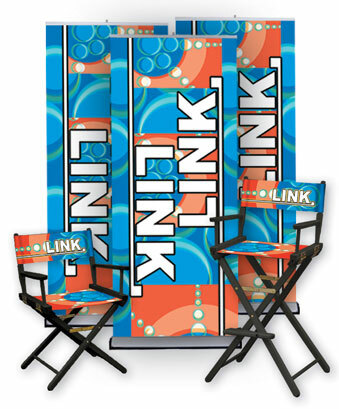 Perfect for complex logos or photographic images. Perma Logo - computer cut vinyl applied to any colored canvas fabric; guaranteed not to crack peel or fade. Perfect for simple logos or text. 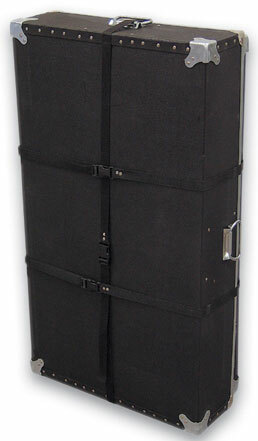 Click for Perma Logo Vinyl Color Chart. Please follow our File Preparation Guidelines when creating production-ready digital artwork. Upon receipt of your order, we'll email artwork submission instructions. 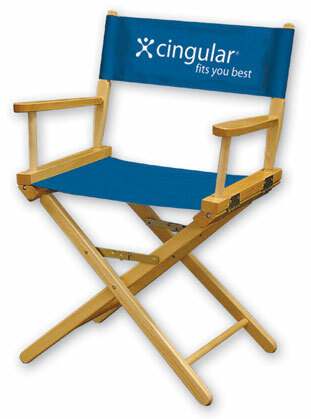 If a proof is required, please call 619-222-8813 for prices. No Rush Charges, No Setup Charges – Ever. Order today online! Or for more personal customer service including information on duplicate quantity or volume order discounts call 619-222-8813 or Contact Us.